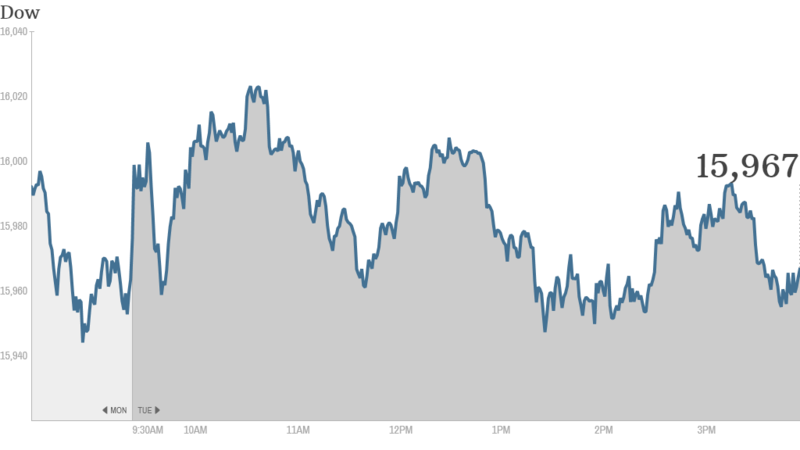 Stocks lost traction Tuesday, a day after climbing above major milestones for the first time. The Dow Jones industrial average ended slightly lower after rising above 16,000 earlier in the day. The S&P 500, which climbed above 1,800 for the first time Monday, also fell. The Nasdaq slipped, but remains close to 4,000 -- its highest level since September 2000. With the market trading near all-time highs, there are growing concerns about whether stocks are overvalued. Jeremy Grantham, who runs money management firm GMO, warned in a letter late Monday that stocks are trading at levels that probably won't support the type of returns investors have become accustomed to. Grantham said he believes stocks could continue moving higher over the next year or two, but said "investors should be aware that the U.S. market is already badly overpriced." Looking ahead, he predicted "negative returns" over the next seven years. David Lutz, a managing director at Stifel Nicolaus, said investors pay close attention to Grantham's letters since he has been ahead of the curve in the past. "Grantham was early in predicting the financial crisis and then reversed course before markets started rebounding in 2009," said Lutz. Grantham's call came one day after influential investor Carl Icahn said stocks could be headed for "a big drop." What's moving. Federal authorities announced a record $13 billion settlement with JPMorgan (JPM) related to the bank's past mortgage practices. Despite the hefty cost, investors seem to view the settlement as a positive since it resolves long-standing legal issues hanging over the bank. Shares of JPMorgan remained higher after the settlement was announced. Bank of America (BAC), Citibank (C) and Wells Fargo (WFC) also rose. The resilience in bank stocks, which led the market higher last year, bodes well for the current bull market, according to one StockTwits user. "Look at those banks! $XLF, $BAC, $GS, $JPM, $WFC. This bull run may be far from over as banks make another run," said hakihika. 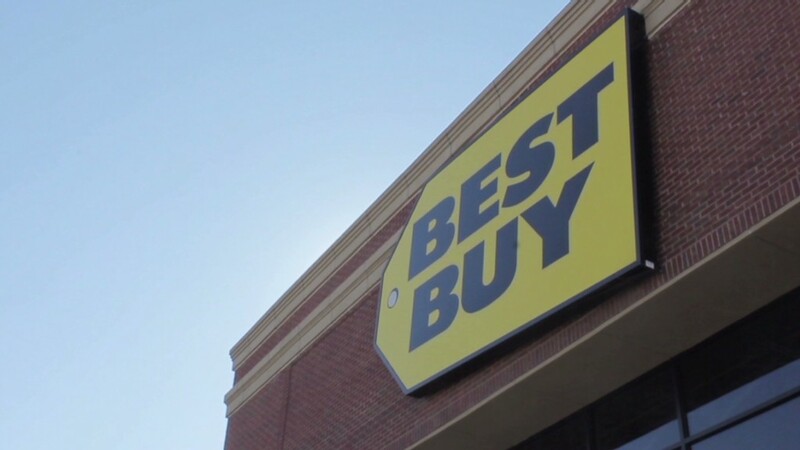 On the earnings front, Best Buy (BBY)reported quarterly revenue and profit that beat expectations. But shares tumbled after the electronics retailer said that more promotions during the holiday shopping season could hurt its profit margins. Some traders on StockTwits said the selling was overdone and presented a buying opportunity. "$BBY Artificially created panic despite beating expectations. Financial sharks are now buying at the bottom. I believe it will go up soon," said Walory. Best Buy's results come one day before J.C. Penney is expected to report another quarter of heavy losses. J.C. Penney is the worst performing stock in the S&P 500 this year, though several hedge funds have recently disclosed stakes in the ailing retailer, suggesting some investors believe it could turn around next year. "Short $BBY Long $JCP working great," said Torpedo. Tesla (TSLA)shares bounced back after falling sharply on news the National Highway Safety administration opened an investigation into vehicle fires. "$TSLA I haven't even seen 1 Tesla on the road except for one on a tow truck," said mars3211. Shares of Nokia (NOK) and Microsoft (MSFT) dipped following reports that shareholders approved Microsoft's planned acquisition of Nokia's mobile phone business. Urban Outfitters (URBN) shares slipped after the retailer offered cautious guidance for the fourth quarter. Campbell Soup (CPB) lowered its guidance after a weak quarterly report. Home Depot's rival Lowe's was also up thanks to Home Depot's strong earnings. Lowe's (LOW) will release its latest results before the opening bell on Wednesday.